Camera was likely used for television news the 60’s in Washington DC, San Francisco and in combat in Vietnam. 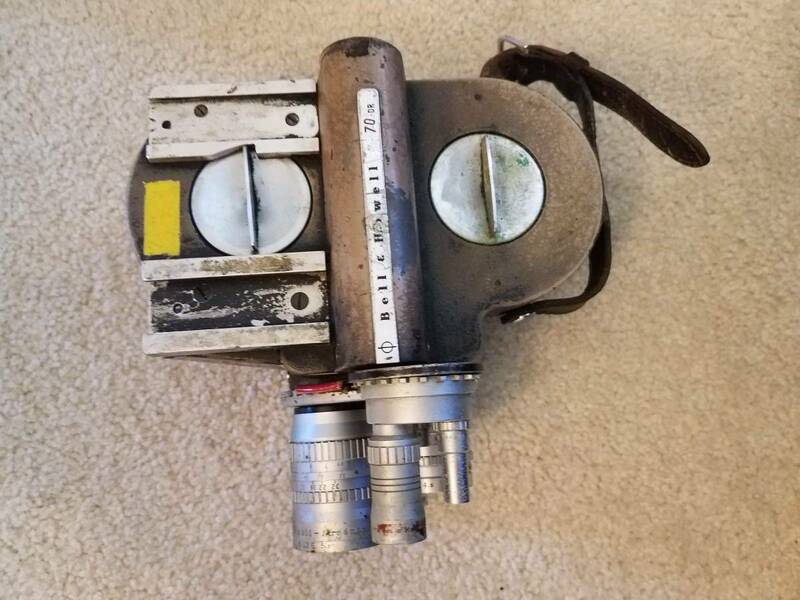 It’s a classic collector / showcase camera and may still work but it has not been tested. The condition would be considered “worn”. The DR is the best model of filmo and is incredibly reliable and durable. It’s the only camera I’ve ever used that is user-lubricated – rather than having to send away for a service to keep it running well you simply add a drop of oil (sewing machine oil is perfect) to the clearly marked oil ports. It was the camera of choice for government, military and news. Collectiblend Vintage cameras online price guide. For camera, I’m asking $135 on Grid50 or best offer – and it’s also listed on craigslist, Facebook, and NextDoor. If you’re interested in the camera without the lenses or just the lenses, or to make any offer – message me. U.S. Shipping Only via USPS and may be between $15 and $25 since it’s quite heavy. Shipping charges required will be paid buy the buyer with advanced notice. Item offered as is. No returns, refunds or exchanges – but you’ll love having this piece of history in your collection!